Bierwinkel, importer and distributor of European beers, was created by Anabel Navas of Valencia and her husband Christian Jardel. In 2002, they joined our company. For their 25th anniversary, they invited us! 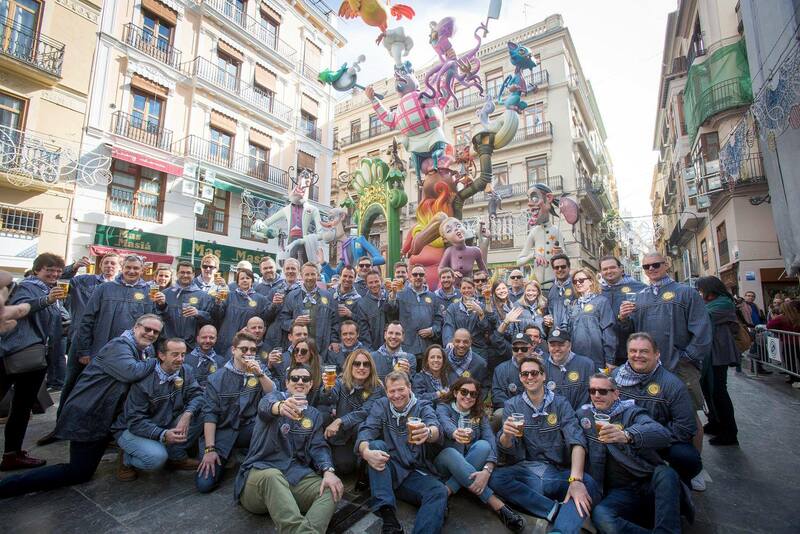 Thus we were honored to enjoy the Fallas for a whole week with all our management and commercial team. We were received like kings and were happy to share this moment. Thank you Christian and Anabel for the privilege of having attended by your side at this exceptional and fascinating celebration. Previous article Three new awards! Next article A new collaboration beer ! Lambic and Stout !